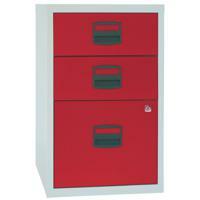 Affordable and spacious, this Bisley Home Filer is a great filing cabinet for the home or small office. 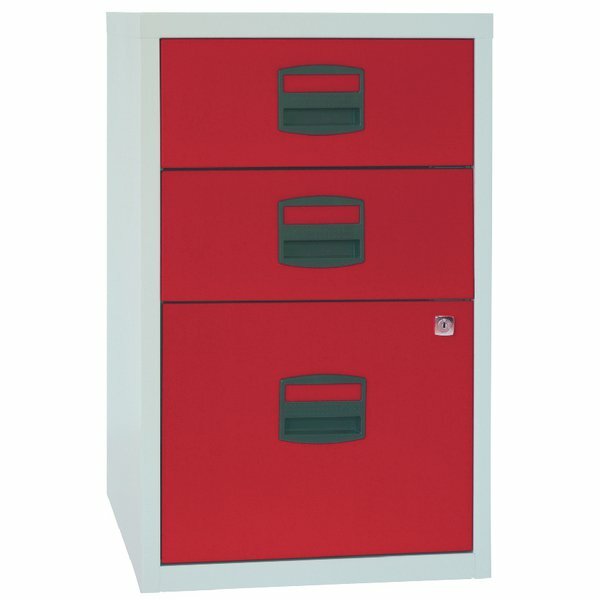 It features three drawers for A4 document storage and filing, with a single action lock for the bottom 2 drawers to help keep confidential documents secure. The drawers feature ball bearing runners for smooth and effortless movement. This free standing cabinet has a grey carcass with stylish red drawers, measures W413 x D400 x H672mm and has a maximum capacity of 15kg.